Test Case 1 setup, 10 contents, 2 pages. Page 2 has a canonical meta refering to Page 1. Page 1 and Page 2 have the same title. 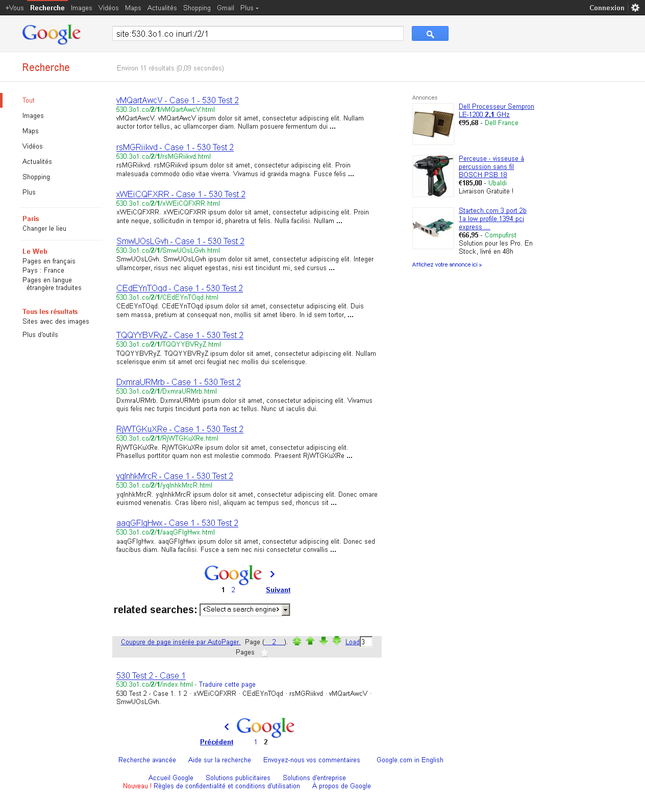 CEdEYnTOqd in SERPS using "site:530.3o1.co"
For Test Case 1, all contents are indexed, first page appears in SERPS but not Page 2 containing canonical (See : 2012-02-10 SERPS for "site:530.3o1.co inurl:/2/1"). 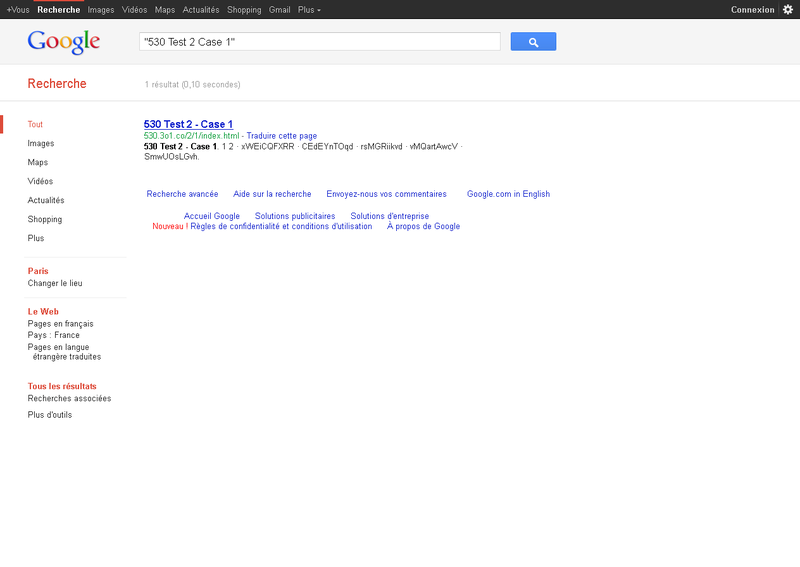 No Duplicate content detected between Page 1 and Page 2 as Page 2 does not appears (See : 2012-02-10 SERPS for "530 Test 2 Case 1"). "site:530.3o1.co inurl:/2/1/index-1" and "site:530.3o1.co inurl:/2/1/index RjWTGKuXRe" queries confirm that Page 2 is not in SERPS.